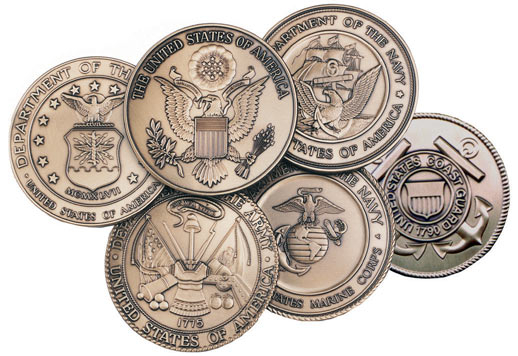 If you are looking for a Retirement Gift for a Marine Corps hero. Our Marine corps 2 flag cases are the perfect gift for any Marine. Our Marine Corps Retirement Gift also provides a ample amount of space for your memorabilia. 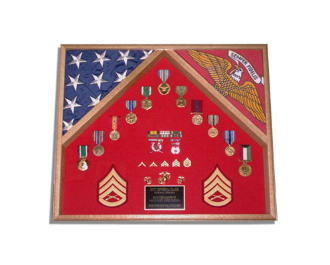 This Marine Retirement flag display case is available in either Red Oak, Walnut or Cherry and comes with a red, black, blue or green background. Outside dimensions of the Marine Corps Retirement Gift are 22"x 26"
constructed of high quality solid hardwoods as you place your order. Orders for the Marine Corps flag case are usually shipped out within one business day to places within the USA and Canada. Your Marine Corps Retirement Gift flag case represented our family well. I had no hassle in making the order and I received a very prompt delivery, well before my friend’s scheduled memorial service. Thanks for a beautiful box.